Hallidie Plaza is an important space in the fabric of the District. It has the potential to become one of the most vibrant and exciting public spaces in the city. 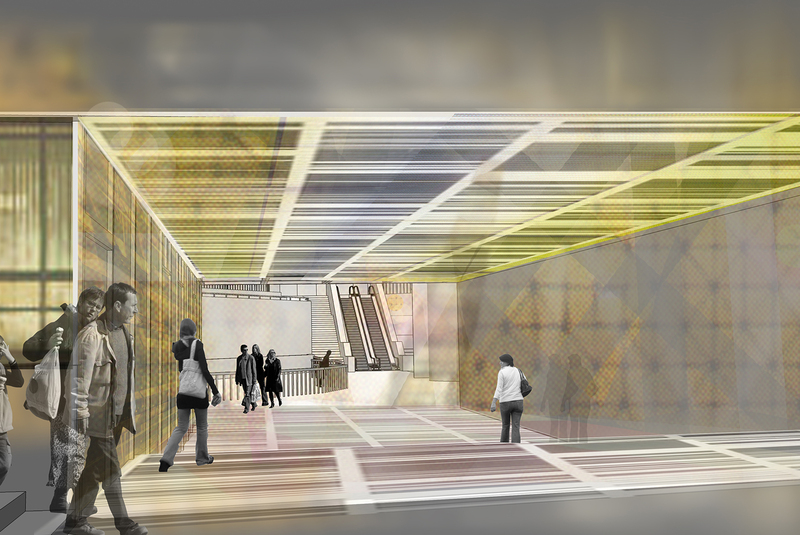 It is the gateway to the city for over 7 million visitors a year who arrive from the airport via BART. 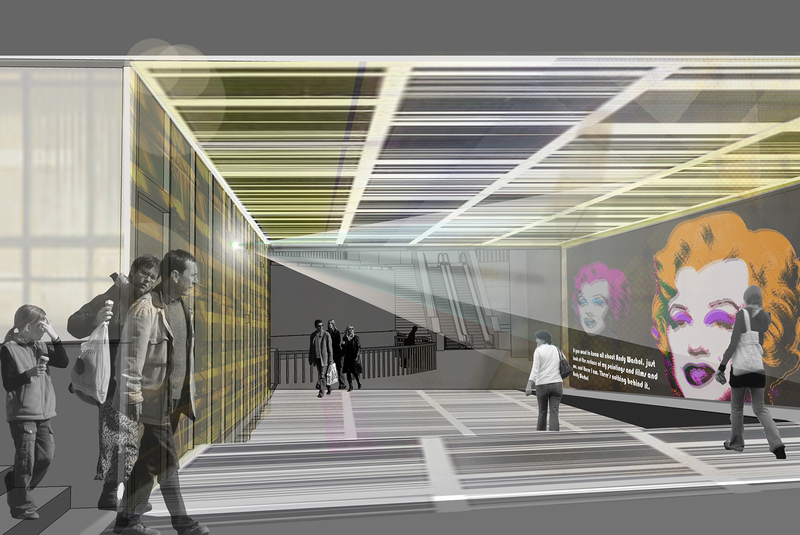 It houses the Visitor Information Center, which receives over 350,000 visitors a year. 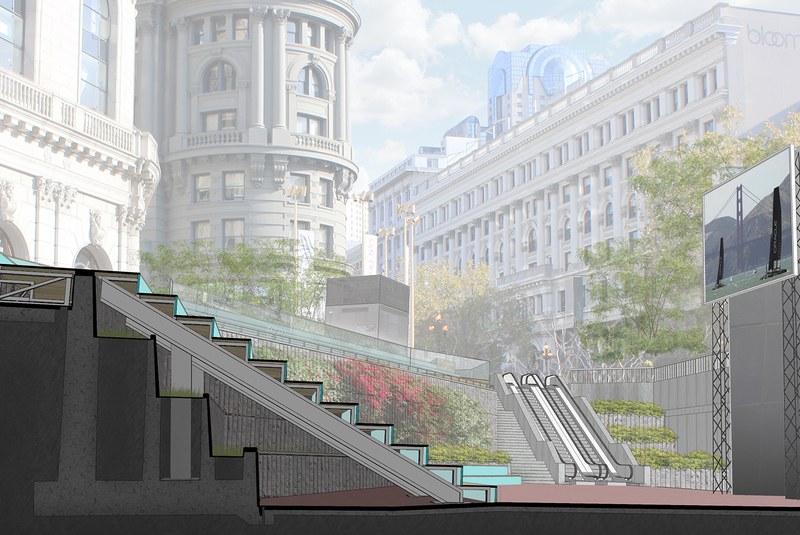 Yet, in its current state, it does not portray San Francisco as a city that values its public spaces. 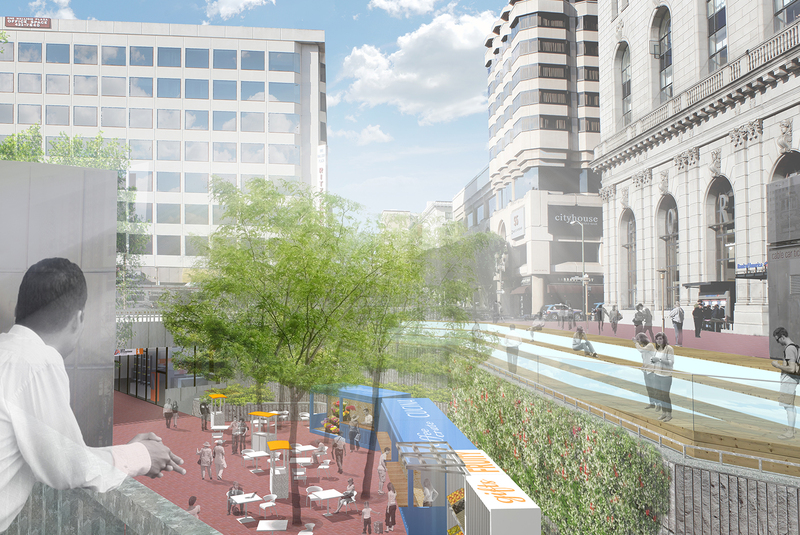 A group of volunteers, including RHAA, architects, engineers, graphic designers, operations managers, city representatives, and stakeholders developed a vision for Hallidie Plaza to transform it from a neglected, underutilized space to an active, exciting public plaza. 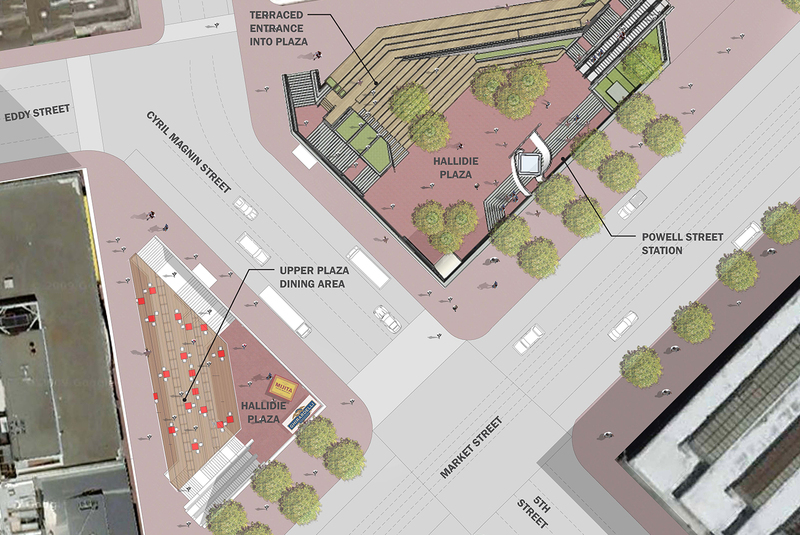 The initial redesign process for the plaza was tied to the anticipated America’s Cup Race in 2012. 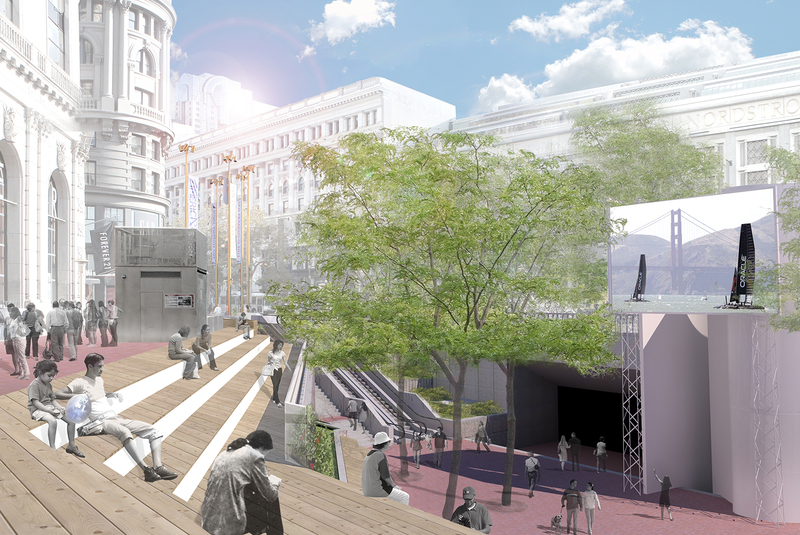 Design ideas for the plaza transformed it into a central gathering space for visitors to view the race from larger monitors. 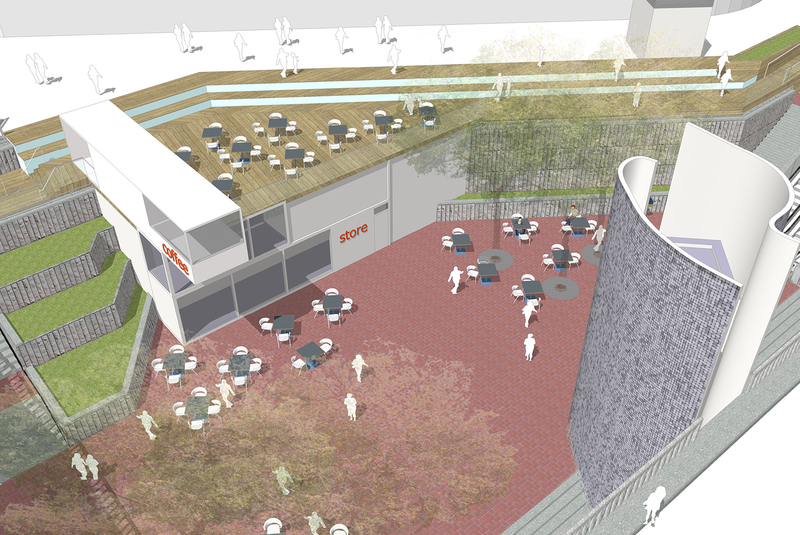 Although the America’s Cup project was not realized, it solidified abroad basis of support for activating the plaza. 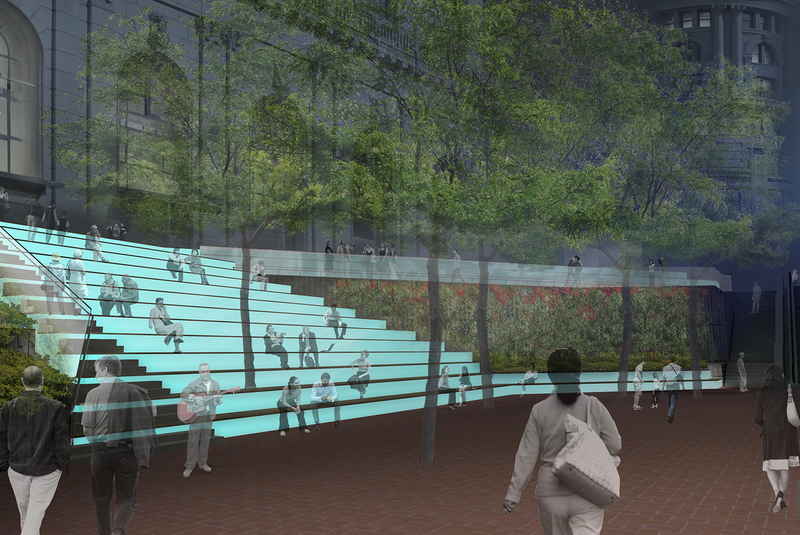 Part of the Committee’s ongoing work is to develop long term solutions for the Plaza. 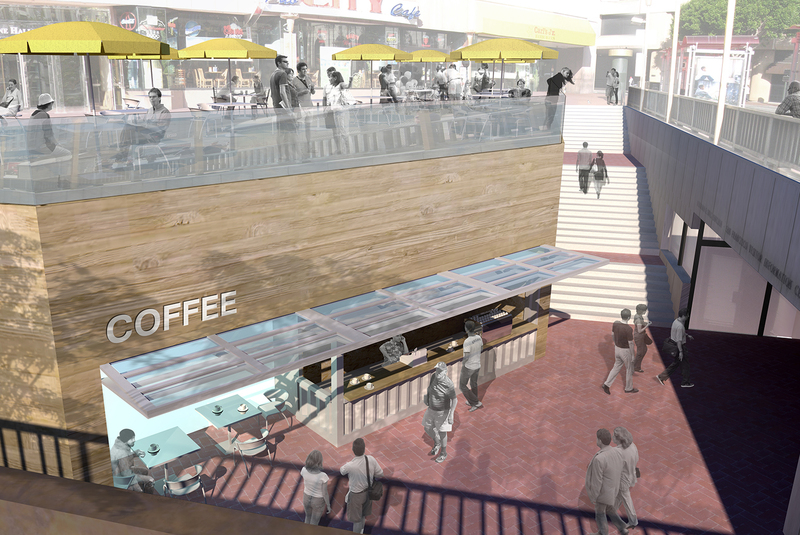 Currently, the Committee is preparing a proposal to activate the plaza with small scale, mobile food and retail vendors, as well as seating solutions on the mezzanine level. The plan is intended to be a short-term temporary ‘fix ‘until a long term permanent solution can be developed.